Refresh. Most of the reported repairs are minor creaks and rattles, plus some minor electrical problems. 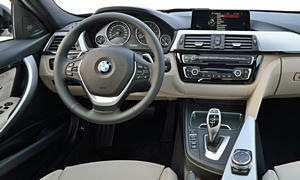 First year for F30 3-Series sedan. Average odometer reading much lower for the M3. Common problem with the water pump in the 335i. Average odometer reading much lower for the M3. Average odometer reading much lower for the M3. Non-M repair frequency spiking, possibly because CPO warranty ending. First year for the E90 4-door. See reliability results for all Sedans and Wagons. You won't find BMW 3-Series reliability information like this anywhere else. Actual repair frequencies, not just vague dots. 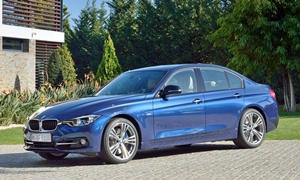 So you can tell how much the BMW 3-Series truly differs from competing car models in reliability. These stats have been promptly updated four times a year, to much more closely track BMW 3-Series reliability as the cars age. Others tell you how reliable the BMW 3-Series was a year ago, when the cars were a year younger and had 12,000 fewer miles on them. Only TrueDelta tells you how reliable the BMW 3-Series has been recently.